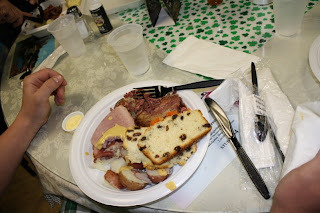 It may not be completely traditional, but what is a St. Patrick's day without corned beef and cabbage, parsnips and carrots, ham, potatoes and Irish Soda bread? 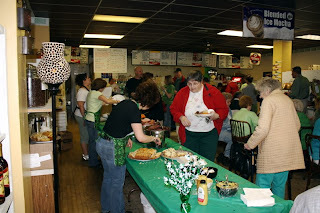 It was a full house today at North Platte's Espresso Shoppe for their annual St. Patrick's Day meal. 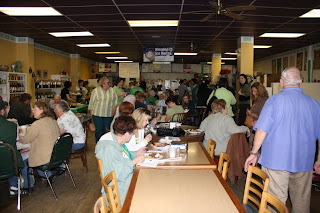 The gang at the Espresso Shoppe, plus a lot of extra hands served up hundreds of the delicious meal. 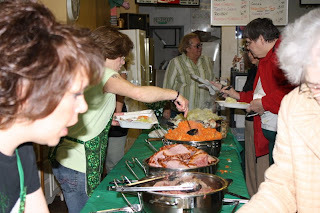 Now for St. Patrick's Day night - stay away from the green beer and don't drink too much Guinness.